Twitter has announced an amazing new feature: Custom Timeline. Now you can curate the best Tweets related to any topic and create a new timeline for that, which can be shared globally. To make the sharing part seamless, you can even create a widget which can be added on any blog or website. I will rate it 10/10 for its awesome features and utility. Content curation is now definitely mainstream. How to create a custom timeline on Twitter? 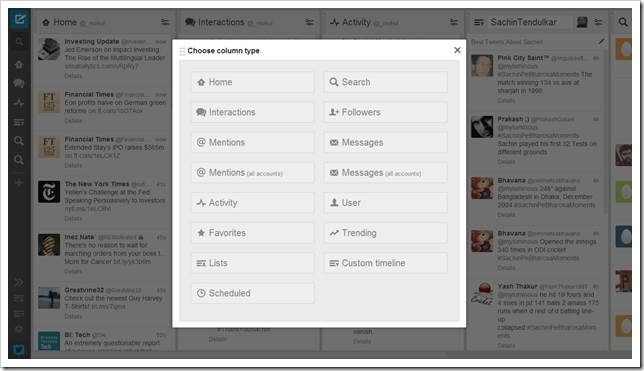 Custom timeline on Twitter can be created using Tweetdeck, the enormously famous tool to manage Twitter accounts, which was acquired by Twitter in 2011. Once you login to the Tweetdeck account, you can see a ‘+’ icon in the lower right hand side. Hover your mouse over this icon and you can see label of “Custom Timeline” appearing. Click on this label, and your custom timeline is instantly created. Once created, you can easily drag the Tweets which you consider as relevant to that timeline and keep make the timeline even richer. If you want to search for a particular hashtag or a topic, create a new column for that and then create a custom timeline from that search column. 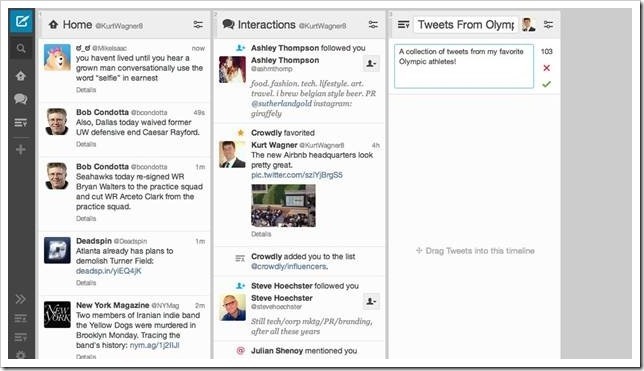 What is content curation and how can Twitter’s custom timeline help me? Content curation is an activity which involves collecting, organizing and displaying information related to a particular topic or interest. Examples of historical content curation include Museums and Galleries, where artifacts or creations related to a particular topic are displayed. The person who curates this content is called a curator. For digital media and publication, there are lots of popular content curation tools available Paper.li; Themeefy; Bundlr; Scoop.it; Storify to name a few. Even Bit.ly has a feature wherein you can bundle several relevant and thematic links into one single space, and then share that bundle with others. But when such content curation tools are available within a huge social network like Twitter, then the activity becomes really interesting. As a content curator, you can now easily search the most relevant Tweets related to a topic, and then save the best Tweets into a new custom timeline and share it with the world. It is upto the creative marketers now, how they can optimally use Twitter’s new custom timeline for maximum effect. It would be interesting to observe the results.